Rumor: Resident Evil 7 To Be Announced At E3; Possibly Exclusive To PS4, Possibly Not. Now, I’ll say it off the bat, I’m not a fan of Resident Evil so, the constant crying from the fanbase of the “decline in quality” of the games don’t affect me especially when seeing the sales for these supposed bad games are high. But since the negative reaction of RE6, Capcom has decided to go back and make Resident Evil “scary” once more with its inevitable upcoming sequel. Now according to an article in a Japanese newspaper called the Sankei Shimbun Capcom plans to reveal an important game at E3, and that is expected to be Resident Evil 7. It’s not 100% though for the entire vague article to entail, it could be a new DarkStalkers, and new Mega Man. It also states that Capcom has already projected sales forecast for the damn thing even though it’s all hypothetical. 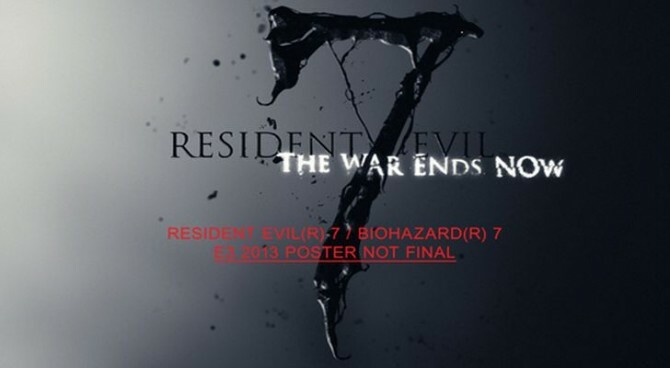 It’s expected that over 5.6 million copies to be sold like what Resident Evil 6 did. More into detail about the article seeing as though it’s a Japanese publication of course, they would focus exclusively on the PlayStation version as the PS4 is named to be the platform of choice. But in the realm of reality, the common sense choice would be to make it multiplatform for the Xbox One and PC. Read More at the Source…..good luck.